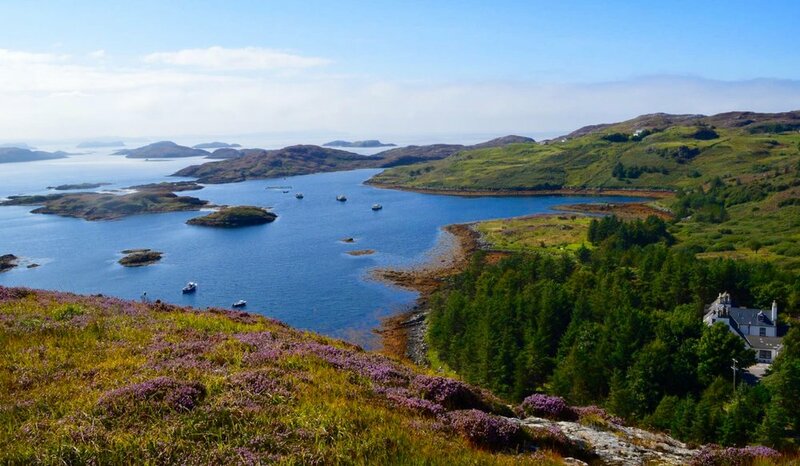 A holiday in the North West Highlands of Scotland offers a wealth of opportunities from wildlife watching, exploring glorious beaches, boat trips, fishing, hunting, photography and hill walking to simple relaxation while enjoying the tranquility and the views. 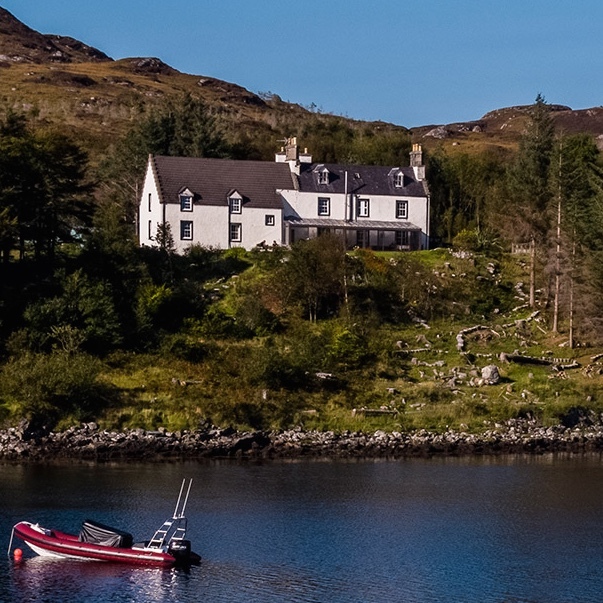 Eddrachilles Hotel is a small, owner-run, authentic Highland hotel on the coast of NW Sutherland. 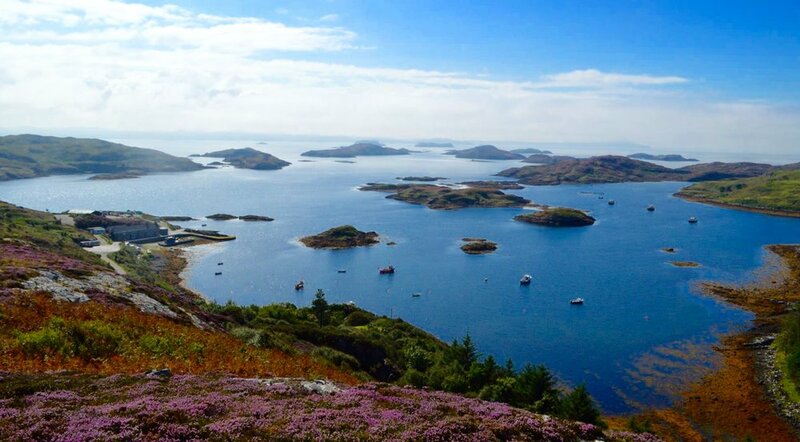 Built in the late 18th century as a Church of Scotland manse, it has gorgeous views over the island-studded Badcall Bay and beyond. The property became a hotel in the 1980s and today is a haven of good food, comfortable accommodation and genuine Highland hospitality. You will find the hotel 40 miles north of Ullapool, or 2 miles south of the village of Scourie, with the hotel's driveway leading directly from the A894. It is in the middle of the North West Highlands UNESCO Global Geopark and very close to the half way mark for the North Coast 500 route. For those sailing, the hotel is accessible from anchorages in Badcall Bay. Owners Richard and Fiona Trevor took over the hotel in 2016. 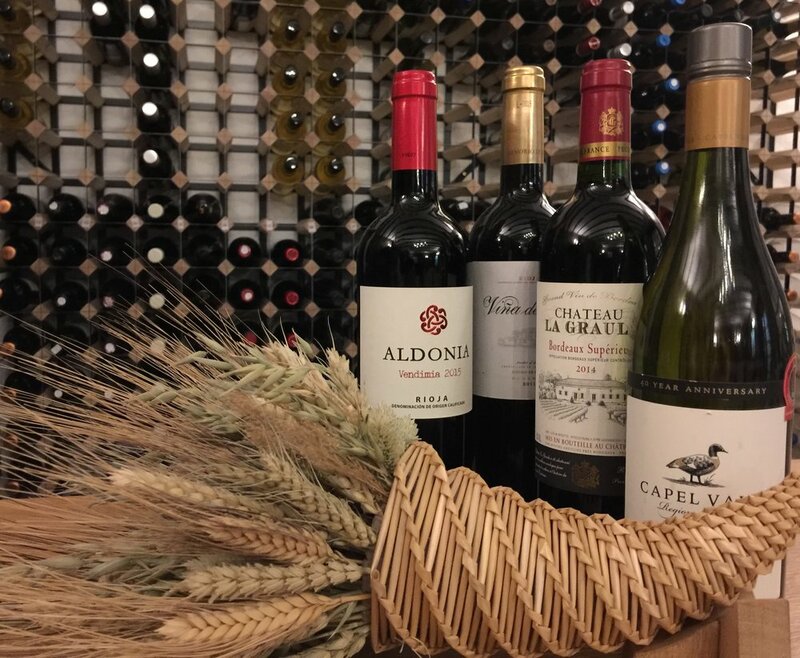 Under their stewardship the hotel has been fully accredited by Visit Scotland as a 3-Star Hotel and a member of the Welcome Schemes for Classic Cars, Cyclists, Walkers, Field Sports and Pets. Among other publications Eddrachilles Hotel is included in Peter Irvine’s Scotland the Best (13th edition, March 2019) as well as The Good Hotel Guide 2019 and Stevenson's Guide to Good Hotels and Food in Scotland. The hotel is also an affiliate of Sail Scotland and a member of the NC 500. The hotel holds a Visit Scotland Taste our Best award for 2018-19 and the i-Know accreditation - we're very happy to help you plan your time in NW Sutherland. Long open roads, vast scenic landscapes, wide meandering country tracks and some of Scotland's finest coastal scenery are just a few of the memorable things that await you on the famous North Coast 500. So, strap yourself in and prepare for a road trip of a lifetime.